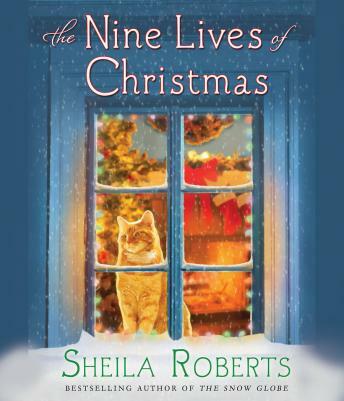 Two people are about to discover that when it comes to finding love, sometimes Christmas magic isn't enough...sometimes it takes a pesky orange cat named Ambrose. When a guy is in trouble, he starts making deals with his Creator...and Ambrose the cat is no exception. In danger of losing his ninth and final life, Ambrose makes a desperate plea to the universe. He'll do anything-anything!-if he can just survive and enjoy a nice long, final life. His prayer is answered when a stranger comes along and saves him-and now it looks like he has to hold up his end of the bargain. The stranger turns out to be a firefighter named Zach, who's in need of some serious romantic help. If Ambrose can just bring Zach together with Merilee, the nice lady who works at Pet Palace, it's bound to earn him a healthy ninth life. Unfortunately for Ambrose, his mission is a lot harder than he ever thought. Merriliee is way too shy to make the first move on a ladies man like Zach, and Zach thinks he's all wrong for a nice girl like Merrilee. Now it's going to take all of Ambrose's feline wiles-and maybe even a good old fashioned Christmas miracle-to make them both realize that what they're looking for is right in front of their eyes.